Frog is a small British company dedicated to making cycling fun for children. They believe that the lighter the bike, the easier it is for children to learn to ride and to enjoy it more as they progress. Frog bikes feature strong aluminum frames and hand-picked components that offer a high performance and light weight. What’s more, Frog bikes are now also much easier to pedal due to a unique crank design from the renowned bicycle engineer Dimitris Katsanis (of Team GB Olympic fame). The new design reduces the space between the pedals, allowing children to push more directly down when cycling, converting more of their energy into motion. Only Frog applies this level of rigour to the design of kids' bikes. This 20 inch kids' bike is the ideal multi purpose geared bike for 5 or 6 year olds with a minimum inside leg of 52cm (20"). This 20 inch kids' bike is a great geared bike for 6 or 7 year olds with a minimum inside leg of 55cm (22"). 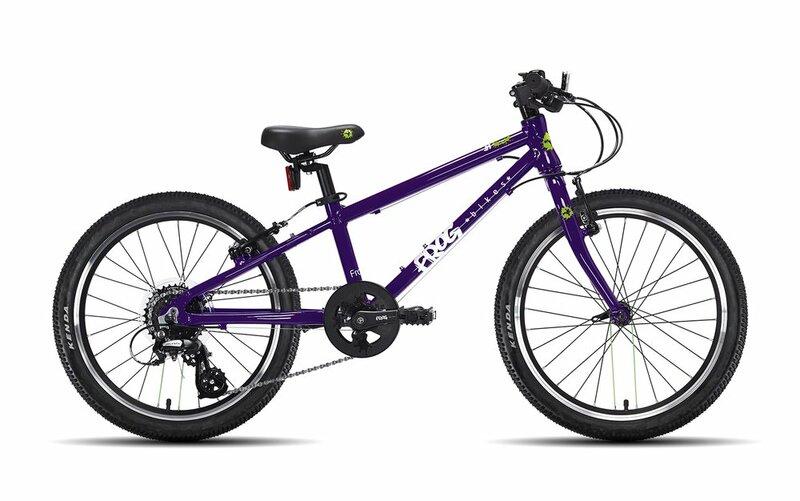 This 24 inch kids' bike is a great hybrid for 8 or 10 year olds with a minimum inside leg of 62cm (24"). 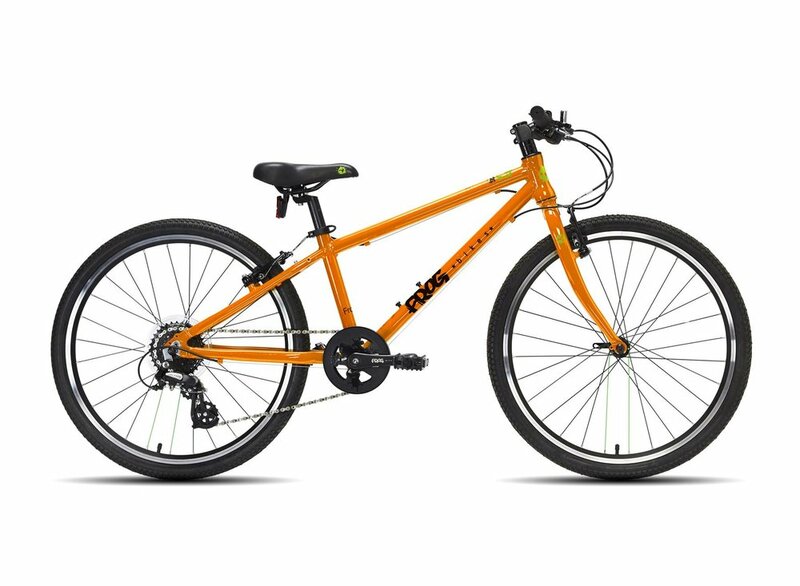 This 26 inch kids' bike is a great hybrid for 10-12 year olds with a minimum inside leg of 69cm (27"). We carry a range of Frog bikes - sized for riders ages 4 to 12+. Hover over each model above for size recommendations.